Brand-new poster artwork for The Hobbit: The Desolation of Smaug! We’ve all been wondering at the relative absence of poster artwork for The Desolation of Smaug. 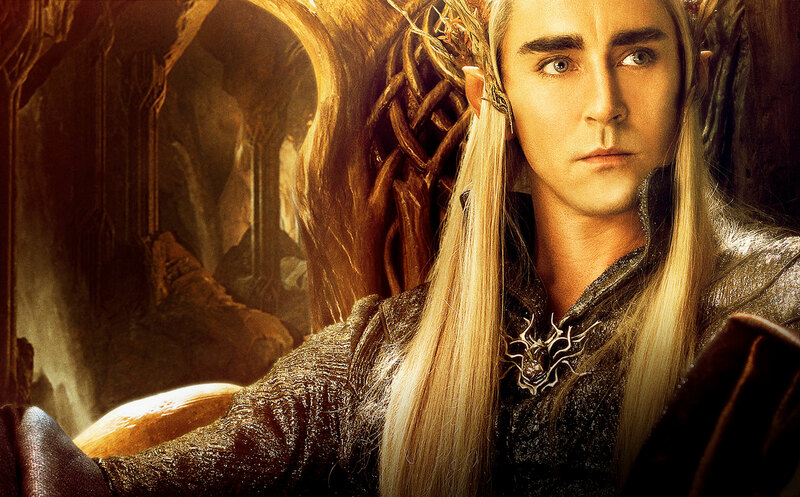 Well, this new poster featuring Thranduil, Legolas and Tauriel may help whet the appetite! 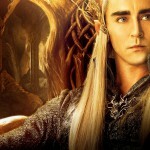 This is a very elf/Mirkwood oriented poster. 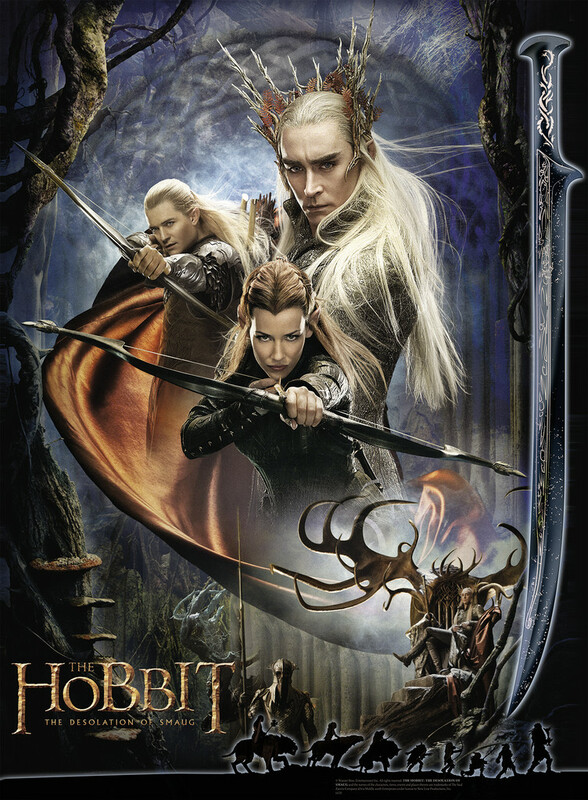 The figure holding the tall spear at the bottom appears to be a Mirkwood elf such as those we saw fighting on the watchtower in trailer #2, and Azog seems to be at the tail-end of the line of silhouetted orcs and goblins at the very bottom. But is that Bolg at the front? It is a tall figure, and the weapon shape seems right,and so does the armour including the greaves protecting the shins. So, maybe we will see Bolg after all in DOS? With his absence from the Lego sets, and the absence of Conan Stevens from the press release cast credits, the evidence is all a bit conflicting.